Where do Fish Stories Come From? Where do fish stories come from? How do we find the vehicle to tell a story and make it compelling for the listening experience. I am a performance storyteller for all ages, my current project is for a curriculum guided school based program. Whose voice should the story represent and what message do I need to focus on? Will children grasp the complexities and what new vocabulary will be introduced and explained via the storyline. Do I have adequate research on my topic to tell the story? 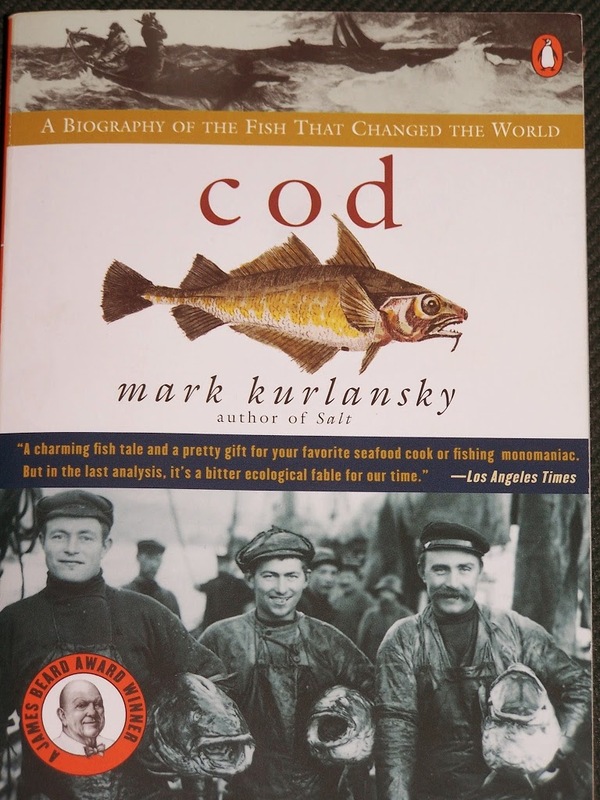 I was inspired by Mark Kurlansky’s book Cod to delve further into the world and history of fishing and fishermen. Then an opportunity presented itself to construct a story for performance to third grade children around the topics of Wildlife, Water, People and more specifically immigration and the ecology of the sea. Cod would be the perfect vehicle to help tell this story. At the outset I was not even aware of the children’s version of this book and was so excited to find it! Here is a look at that version from Amazon . That was just the beginning, a story is a complex intertwining of facts from multiple sources. Cod gave me my background knowledge. Then I needed characters, I found mine on the list of passengers on the Mayflower voyage to the New World in 1620. Here I researched the children of the Ancient Time as it was called and selected two. The characters themselves required more research as they are historical not fiction. My characters are Remember Allerton and Richard More, each have left a long lineage and a place in the history of the founding of our nation. My next question to answer was, What does Cod fishing look like? How do you fish for Cod in the old ways and the new? I journeyed into the realm of salt water fishing and the life and habits of Cod. Here is where You-Tube came in handy to give me some visual reference. Here is a link to a story about the decline of Cod populations. This next link is a moving video full of the visuals I needed to be able to tell my story with an accuracy and true representation. From you-tube it as a long read in several nautical history books and a visit to Mystic Seaport. I also visited the Essex Shipbuilding Museum. 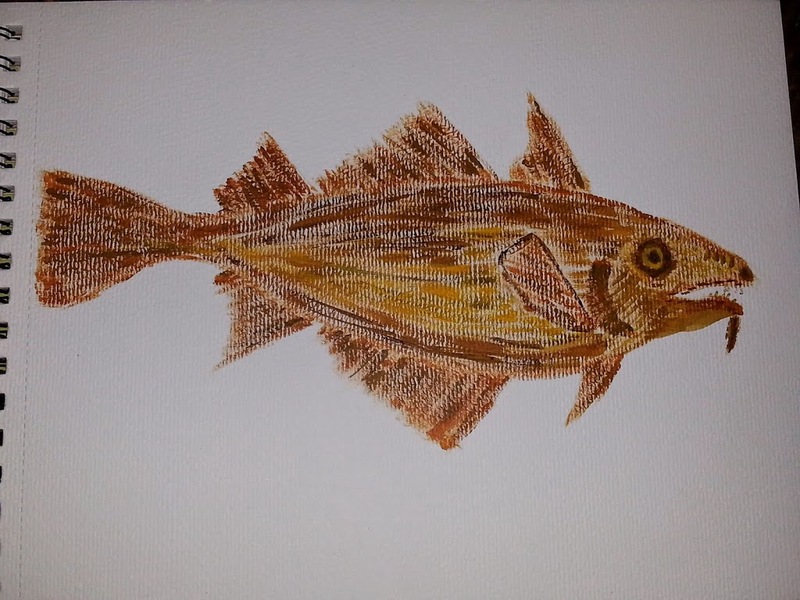 I got to know the Cod itself by drawing and painting them so I would remember their distinctive fins and chin barb. I heard this song a few years ago and it haunted my mind but in a weekend filled with music I could not remember the melody. Then in June 2012, I shared the stage at Mystic Sea Music Festival with Mary Garvey, it was from that meeting that I learned the song that has become one I hum often when working. Spring of 2014 this story will debut and be added to my regular repertoire of stories to tell. The story has such depth I will be able to offer an adult version with more content as well. Interested in booking this story and other sea tales?